Fiction – paperback; Vintage Contemporaries; 286 pages; 2015. 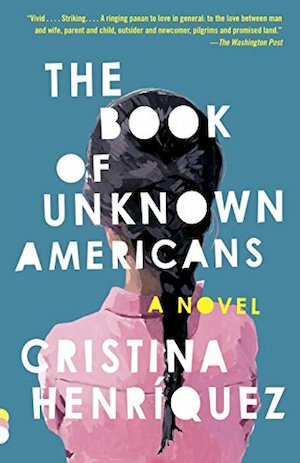 I read Cristina Henríquez’s The Book of Unknown Americans for my book group, but it also fitted in quite nicely with #DiverseDecember. It’s a timely story about immigration — to the USA from Latin America — and the challenges those immigrants face on a daily basis. Written in a light, almost “frothy” style, the novel follows the fortunes of a wide cast of characters in two families. 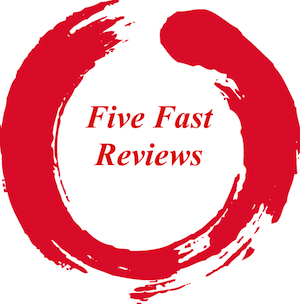 Each character takes it in turn to tell their version of events, but there are also several chapters written as stand-alone “testimonials” by others that have also immigrated to the US. This structure serves to create a clamour of voices that show the ups and downs of moving to a new country and trying to fit in. The blurb on the back of my edition claims it’s a love story between two teenagers — the brain-damaged Maribel Rivera, who has immigrated with her family to seek specialist education and treatment for her condition, and her neighbour Mayor Toro — and that’s partly true, but the book is more about showcasing life as an immigrant in the US, where the road isn’t always paved with gold and where racism and victimisation is always on the doorstep. Unfortunately, I wasn’t particularly enamoured of this novel. I didn’t like the structure and thought the themes were overly simplified. But don’t take my word for it — many in my book group really liked it and it’s been a commercial and critical success in the US, where it was named a New York Times and Washington Post Notable Book, an NPR Great Read, and named one of the best books of the year by Oprah.com, School Library Journal, and BookPage. Fiction – paperback; Sphere; 416 pages; 2007. For those of you who follow me on social media — and Instagram in particular — you will know I spent Christmas in Venice. It was my fourth visit to the watery city, and this time it was very much about the food and the drink, rather than the architecture and the walking (although there was plenty of that too). I packed Joseph Kanon’s Alibi in my suitcase, because I always love to read books set in the places I’m visiting, and this one certainly didn’t disappoint. It’s largely billed as a murder mystery, but it feels more like literary fiction than anything else. 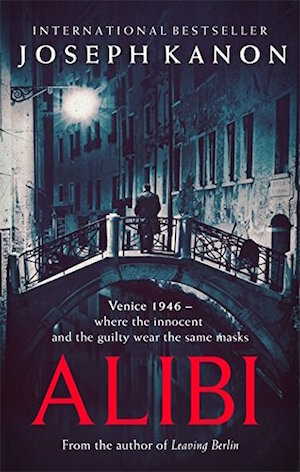 It’s certainly intelligent, and the crime at its heart is almost too complex to follow, but it’s the scene setting — Venice in 1946, when everyone’s trying to deal with the outfall of the war — which makes it such a great read. The characterisation is spot on too, especially the leads: Adam Miller, a traumatised war crimes investigator who has left the US Army and is now visiting his widowed mother in Venice, and Claudia, an Italian Jew, who survived the death camps, with whom he falls in love. The story, which is fast-paced and compelling (I read it in the space of two days, because I just had to know what happens next), is very much about love, forgiveness, war and moral culpability (one of my favourite themes in fiction and non-fiction). It brought to mind Robert Wilson’s A Small Death in Lisbon, which I read — and loved — years ago. This was my first Joseph Kanon; it won’t be my last. Fiction – hardcover; Bloomsbury Classics; 192 pages; 1995. In this intelligent, well paced novel, we see the themes of sacrifice, love, religion and war play out on a relatively small canvas. It is not your average psychological thriller. Yes, it’s a real page turner, but the prose style, almost old fashioned with an undercurrent of menace to it, lends it a literary feel. I loved it. Non-fiction – paperback; Serpent’s Tail; 137 pages; 2009. Translated from the Italian by Shaun Whiteside. This is another book that I read while I was in Venice. 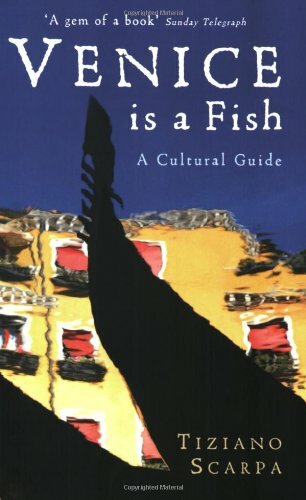 Written by a native Venetian, it has real Italian flair: the writing is fresh and original, and much of the anecdotes contained within are humorous and (sometimes) surreal. It is strangely bewitching and, hands down, the most innovative book about Venice I’ve ever read. Scarpa’s main thesis is that Venice is so beautiful — her paintings, her architecture, her canals — that the visitor can be inflicted with a disease known as “aesthetic radioactivity”, an idea that is pushed so much it soon becomes wearing. However, the book is filled with some good factual information of the historical variety — this isn’t a guide book telling you which hotel to stay in or what restaurant to eat at. Fiction – paperback; Virago Modern Classic; 224 pages; 2014. 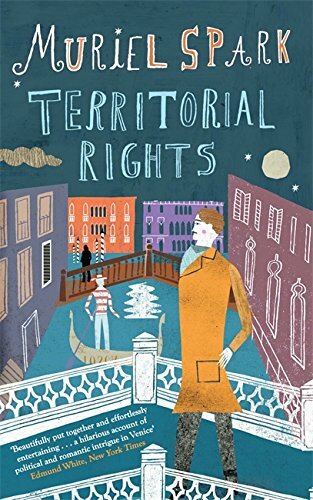 Territorial Rights is one of Muriel Spark‘s lesser-known novels — and, as I soon found out, there might be a reason for that. I read it on the basis it was set in Venice, so would be perfect holiday fare. To some extent that’s true: this was a very easy read, one that felt frothy and light and gave me several good belly laughs. But the storyline is absolutely bonkers. I know that Spark’s plots are always a bit crazy and that her characters are often absurd and strange, but this one was filled with so many oddballs and misfits, all carrying on in weird and often abysmal ways, that I couldn’t keep track of who was doing what and why. And the ending, after all that hilarity, was also a bit of a let down. That’s not to say it’s a bad book — it’s just that there are better Spark novels to spend your time with. But if you like farces, washed down with a good dose of eccentricity, you’d be hard pressed to find anything as perfect as this. Glad you enjoyed the Kanon book. Have not read any yet, but his books are on my radar. This Kanon was excellent, and I’m itching to read more by him now. 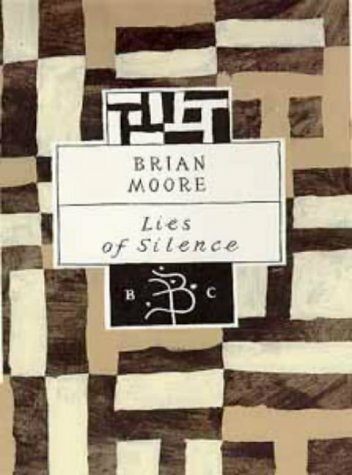 I have a couple of Brian Moore’s books on my shelves, but haven’t read them yet. Have you read any of his others? Unfortunately, I haven’t, which is a major oversight on my behalf. Timely reminder I have Henriquez on the TBR as I’m looking at multi narratives this year. Loving books with moral dilemmas Lies of Silence sounds excellent and an ideal choice trying to coax my husband, an avid reader of non-fiction, into some fiction this year. And strangely (or not) quite fancy a dollop of farce & eccentricity, so curious about the Sparks- but as you say she has others I should visit first- although I hate that let down feeling of poor endings. Hmm… maybe a library choice rather than purchase! I’ve read a few Hispanic families immigrating to USA works and I have not found a great one yet. Even though I am a first generation US person, no book of this genre has spoken to me yet. I think that the main problem is that even most of Central & South Americans speak Spanish, we have had different experiences & influences in relation Spain, other European countries, and the US. Also, we don’t speak the “same” Spanish either. There is a lot of native Indian contribution to the language. My dad was born in Honduras and was very influenced by the US, since there was a big presence there with United Fruit Company and interference by the US government in the politics of Honduras. On the other hand, my mom grew up in the Amazon region of Peru. There was no US influence, in terms of business; my mom’s family had some British influence, since their family friend was the British consul. Cubans, Puerto Ricans, and Mexicans that I have met had had different immigrant experiences also. Another friend and I tend to shy away from Oprah Books. We find that her tastes are not the same as ours.